mere mention of its name stirs nostalgia in the heart of many Algerians, particularly those from Algiers. Today, devotees maintain Facebook pages solely to share old black-and-white photos from the Casbah's glory days: the steep streets filled with robed merchants, shoppers picking their way among the wares, workers driving donkeys or carrying bricks, and children playing on the stairways. Fast forward to 2015. Some of the houses, with their naturally lit open courtyards, claustrophobic stairwells, and rooftop terraces, are still occupied. Satellite dishes, geraniums in window boxes, and laundry still hang here and there above the narrow alleyways, but it hardly resembles the Casbah's heyday. Despite holding protected status as a UNESCO World Heritage Site since 1982, today the Casbah is disintegrating. 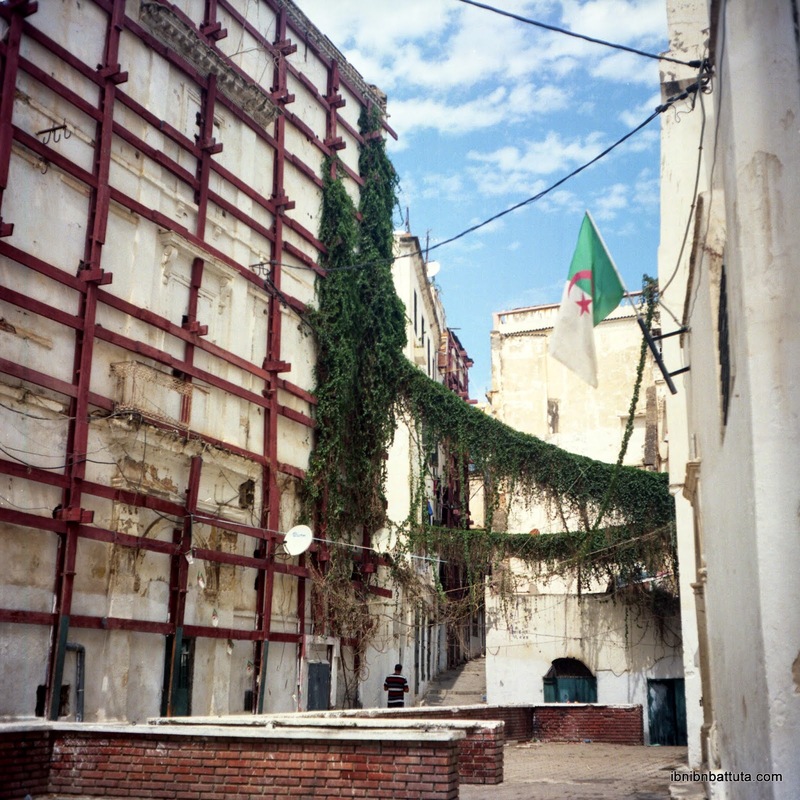 A widely cited estimate is that one third of the Casbah's structures have collapsed. Walk the streets today and it's an easy figure to believe; tumbled houses are all around, and the narrow, once-bustling alleyways of many sectors are now all but empty. Why? One reason is that in recent decades, many longtime residents have left to seek their fortunes elsewhere. Some of the houses left behind are rented to tenants uninterested in investing in their upkeep, many others are split between dozens of inheritors and thus effectively frozen (a common problem not just in the Casbah, but across Algeria), and others still have simply been abandoned. As more structures crumble, neglect spreads. One house slumps onto another as it slowly collapses. Few residents have the will—much less the financial means—to fix their house while all those around it crumble. (In the interconnected web of the Casbah, after all, the collapse of one house weakens all its neighbors.) Builders with the know-how to repair the traditional wood and mortar constructions are a dying breed. Tumbled houses become repositories for trash; children play among the garbage in every empty lot. More buildings fall, people die. None of this is news. The alarm bells have been sounding for years, particularly in Algeria (e.g. Babzman article) but also abroad (e.g. New York Times or AFP articles, or the Smithsonian piece that first piqued my interest in the Casbah). The Algerian government has announced initiatives to spend some of its oil riches to preserve the Casbah, but seems forever wrapped up in planning processes that have produced few visible results. (See a recent summary here.) 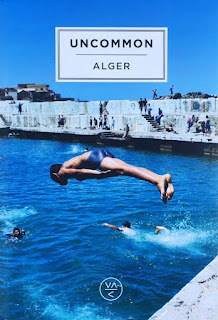 Under current tourism, the handful of tourists who visit Algeria each year aren't nearly sufficient to entice new investment into the Casbah (in the way that neighboring Morocco's ancient medinas, for example, have been preserved and revived by the tourism industry). Strict regulations on foreign investment block them anyway. UNESCO and the EU manage to mobilize modest sums for restoration projects, helping to finance the scaffolding and joists that brace the Casbah's least stable structures, but are fighting a losing battle against the effects of time. Neighborhood associations and local NGOs have had little success in fundraising for restoration or organizing residents in meaningful ways. The pleas of concerned preservationists and academics either go unheard or get little reaction. An immediate before/after comparison of the cleanup effort. Perhaps others will have more success sustaining improvements. On a visit to Algiers in November 2014, Turkish prime minister Recep Tayyip Erdoğan—in a nod to the Casbah's Ottoman past—pledged his country's financial support for restoration of the Ketchaoua Mosque, in the lower Casbah, with potentially more projects to come. Despite these modest efforts, the deterioration continues. After exploring the Casbah a bit, few would likely conclude that it has serious protectors. The longstanding neglect—perhaps unsurprisingly—breeds mixed reactions among Algerians, ranging from remorse to contempt to recriminations to conspiracy theories. One activist made an emotional video titled "The Casbah: downtrodden, forsaken, and scorned… where did the billions go?" Another penned a screed blaming the destruction on the Casbah's modern residents, who have failed to "master the efficient organization system" of its traditional inhabitants. And one close Algerian friend of mine, who hails from a family that has lived in Algiers for generations, is certain that the government is deliberately neglecting the Casbah, because it symbolizes the rich cultural heritage of the capital, not of the nation at large. Because so many of the country's leaders come from other regions, he assures me, they don't want to invest in reviving Algiers. What do I think of all this? No doubt, watching an irreplaceable piece of the world's cultural heritage slowly crumble before your eyes is sad. 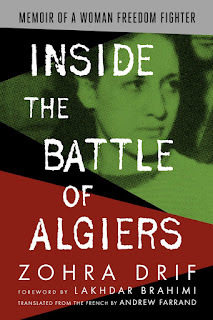 But as an outsider in Algeria, my position is a delicate one; my pointing the finger, no matter who I might blame for this sad state of affairs, won't help anyone. 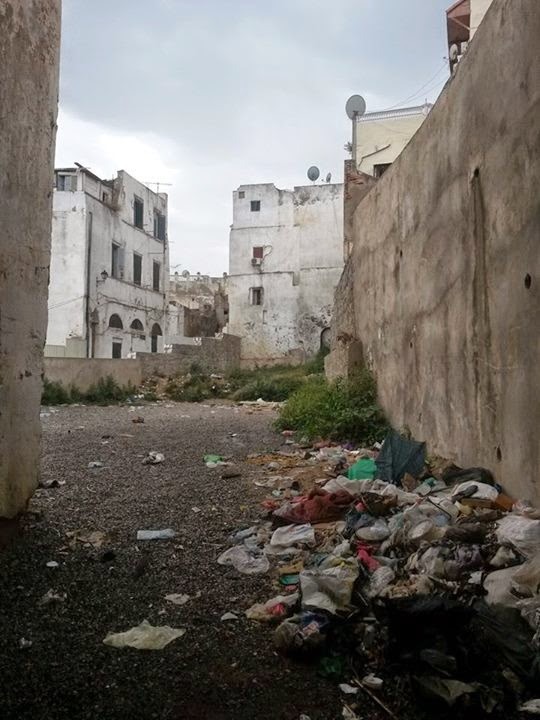 Instead, I try to focus on positive actions, like helping with the cleanup day, or sharing my photos of the Casbah (as I did in the recent exposition "The Casbah of Algiers, from Yesterday to Today") and encouraging others here and around the world to visit and appreciate this very special place without delay. Timeless as it may seem, the Casbah may not be around forever. As always your articles always touch real and interesting subjects. One of the reasons I became an architect is the old Islamic medinas, which the Algiers one is called the Casbah. It happens that I know a lot about la Casbah and I have information first hand from the government body that is taking care of it. In this articles you mentioned a very important reason, which is the ownership of the houses. the government by law can't intervene in the restoration eventhough there is a budget to do it. But other ways are being looked at. in the mean time they are working on the city in other places. You can see that the castle of the Bey is in full restoration. We all can sit around and be sad, angry or exchange conspiracy theories. For me, I stopped being pessimistic a while ago. La Casbah is not going anywhere, it will stay put until the end of times. You will tell me how? For two reasons, one is the LAW. Recently a set of laws were put to preserve the character of la Casbah indefinitely through time. One positive thing we did in Architecture schools in Algeria since the independence was to measure and draw in paper every single house in the city, even during the (war against the civils- decennie noire). So no matter what degradation happened or will happen, the empty plots can only be built exactly to the original plan and with the exact same materials even if we have to import the rare wood that once was abundant around Algiers. Algerian government made a choice to have our historic medinas all over the country owned only by Algerians, maybe it doesn’t seem wise, but in the future we all going to see the virtue of this decision. I love Morocco but unfortunately it is not a good example to be followed by Algeria. La casbah was rebuilt several times in history for natural reasons and what’s happening today is just another reason, historic, human..... Most of European historic cities were flattened either in the 1st or 2nd world wars and when you visit them today, they look even better than the original ones. I tell my fellow Algerians to be positive and to keep loving la Casbah. Algeria came back TWICE from death. Today Algeria has to put the oil era behind it’s back and look for other Eldorados and tourism is one of them…..so have faith, La Casbah will slowly but surely raise again from the ashes. As always, thank you for reading and sharing your reactions. All the best. That's great, Jen. Glad you will get the pleasure of visiting Algeria very soon :) If you like Lebanon you will find much to enjoy here in Algeria too! Jen, this is one of computer miracles, I got your message! Andrew is actually one of my heros, I'm still counting to see how long he will last in Algeria? 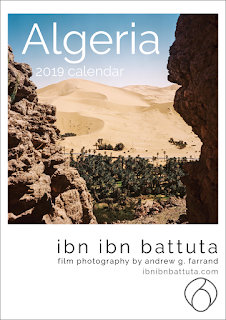 I would loved the idea of sharing my love of Algeria's heritage with you and Andrew in person, but unfortunately I'm an expatriate like Andrew, but in the opposite direction. One advice I will give you is to have a local to be your guide in Algeria, don't travel alone there. it's safe but it's a bit difficult to go around without one.